Darla Miles reports from Union City. FORT LAUDERDALE, Florida (WABC) -- Details are emerging about the man suspected of opening fire in the baggage claim area of an airport in Fort Lauderdale, killing at least five people Friday. Florida Senator Bill Nelson said the shooter was identified as 26-year-old Esteban Santiago. Nelson said a TSA administrator and director of the airport told him that the shooter was carrying a military I.D. with that name. ABC News confirmed the suspect's name with law enforcement sources, but he has not been officially named as the suspect in the case. 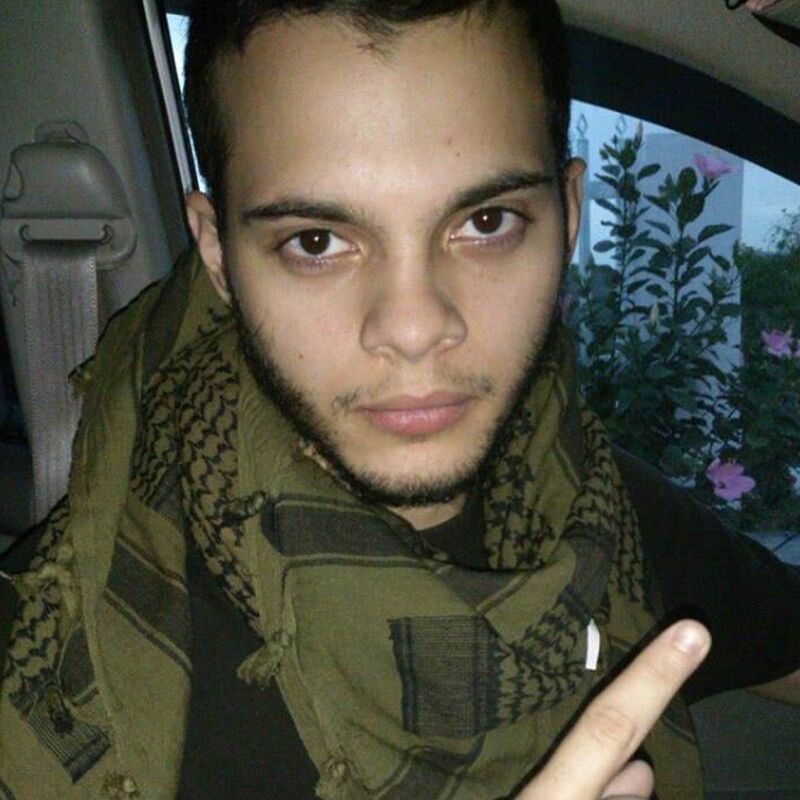 This image of suspected gunman Esteban Santiago was provided to ABC News by law enforcement sources. Santiago was born in New Jersey, but a state official said he apparently hasn't lived in New Jersey for "quite some time." 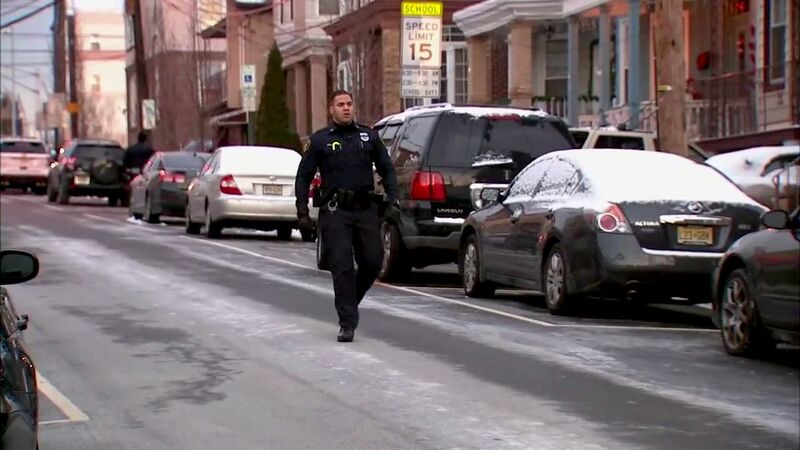 FBI agents arrived at his aunt's house in Union City Friday afternoon to interview her. Interviews with family members is standard procedure after a mass shooting. He has a recent address listed in Anchorage, Alaska. There, he worked for a company called Signal 88 in a security capacity, according to a source familiar with the investigation. In November, he showed up at the FBI's field office in Anchorage, where he espoused conspiracy theories including one claiming that the U.S. government was trying to force him to watch ISIS videos. FBI agents interviewed him. They found him to be incoherent at times, and they suspected that mental health issues may be at play. So they referred the matter to local law enforcement for mental health evaluation. Sources tell ABC News the alleged suspect received mental health treatment after the encounter with the FBI. Contacted for comment, a person who answered the phone at Signal 88 in Anchorage said, "We are currently under the advisement of federal authorities and we have no comment." According to the Army criminal investigation division (CID), Santiago was discharged from the Army National Guard in August 2016. He was a combat engineer and was deployed to Iraq from April 2010 to February 2011. The Fort Lauderdale mayor told reporters that the shooter was a "lone gunman" and didn't appear to be working with anyone else. Anchorage Airport Police tell ABC News that Santiago only checked one bag which was the hard case with the weapon inside. Law enforcement officials said Santiago boarded a plane Thursday night in Anchorage, changed planes in Minneapolis and flew to Fort Lauderdale Friday. 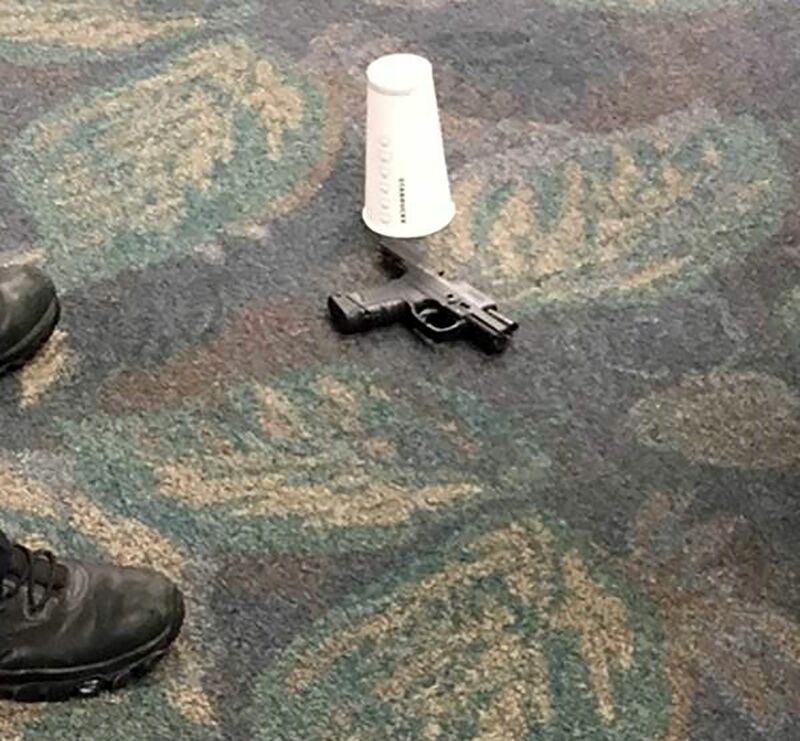 Once he got off the plane, officials said he claimed his checked baggage containing a gun, went into a restroom and came out shooting. Officials said Santiago was arrested after he apparently ran out of ammunition at the airport. He was lying down at the terminal when he was taken into custody. He was not injured during the incident, and is being interviewed by detectives.